Prescribing and tracking workload and work rate are essential components of effective training for any endurance sport. Cyclists have it easiest because power meters directly measure mechanical work. Runners who stick to generally flat and smooth terrain have well-researched calculations for workload and work rate based on distance, pace, and weight. The problem is, those calculations break down when runners hit the trails because of the huge variability in grades and surfaces. As a coach, I want to prescribe training intensities and a total amount of work to be done in a session; and over time I want to track an athlete’s workload and work rate. For a long time, the lack of accurate measures meant intensity was difficult to prescribe. Additionally, progress, and in particular, what led to that progress, was hard to identify. New technologies and advances in software have dramatically improved the information available from trail runs, but you have to know when to pay attention to the data and when to ignore it. It’s important to separate the two challenges trail running presents to athletes and coaches. The issue of how to prescribe workload and work rate is completely independent of the second issue, which is how to evaluate workload and work rate. Prescribing and evaluating require markedly different approaches, even though they are trying to solve for the same variables. There are a ton of gadgets, widgets, and sensors out there that can present athletes with data in real time. But what data should you use? Even though I am a big fan of innovation in training and sports science, a lot of data that can be delivered to athletes isn’t the data that’s actually useful while you’re running. And often it’s more complicated than it needs to be. I am most interested in prescribing the right workouts, the right workloads, and the right work rates in ways athletes can easily put into action during a training run. Despite my love of cutting-edge technologies and emerging sports science, the best parameters for prescribing trail running workouts boil down to time at intensity (for a proxy to workload) and rating of perceived exertion (RPE, as a proxy for work rate). Both of these aspects can be accomplished with little more than some paying attention to and an analog watch, but don’t go out and get an analog watch just yet. Why use these simple tools when you have an arsenal of GPS watches, heart rate monitors, running power meters and the like? Because time and perceived effort are more effective in this arena. And I’m not being anti-technology or unwilling to evolve with new science. As of now, the technology doesn’t enhance the ability to prescribe training over time and RPE. If it did, I would be all for it. The truth is, the trail surface, elevation gain, altitude, cumulative training load and a myriad of other variables render the doo-hickies less useful (not unuseful, just less useful) than plain old time and RPE. So, when I prescribe a workout for any of my trail runners, the description of the workout is simple, “Go out and run for this amount of time at this RPE”. For interval workouts, the same strategy emerges, “Run at an RPE of 10 for 3 minutes, rest for 3 minutes, repeat 6 times”. Yes, sometimes the workout contains details about the amount of elevation gain/loss I want the athlete to accomplish, but the main points are always time and RPE. It’s really pretty simple. Before you throw away your GPS watch, realize that as simple as prescription can be, there still is a very valuable place for the data acquired from the miniature computer on your wrist. Using NGP (Normalized Graded Pace) rTSS (Running Training Stress Score), ATL (Acute Training Load) CTL (Chronic Training Load) and Training Stress Balance (TSB) can be just as valuable in trail running as it is in road running and cycling, if you take the time and put some context into the information you are receiving. In flat road running, pace and weight can be used to determine work rate. As you run faster, your work rate increases. If you become lighter and run at the same speed, your work rate will be reduced. For level running, workouts can also be aggregated to see how the training stress changes over time. This is because the training stress is related to how far and how fast you run when you are running on a level surface. The farther and faster you run, the more training stress you have. This all changes when you run uphill and downhill, particularly when the grades increase as they do in many typical trail systems. Fortunately, when the trail turns up or down you don’t have to throw out pace as a proxy for work rate. NGP provides an alternate way to evaluate pace on different grades compared to flat level running, which enables you get a fix on work rate. However, simply looking at the NGP or a workout or interval will not give you a complete picture of the effort required because NGP is fundamentally determined by the difference in energy cost associated with running on various grades. By doing this you can evaluate NGP on the uphill sections to determine the quality of the interval. Yes, this is time intensive. In fact, if someone out there is willing to do a workout pack in WKO4+ that will automatically do this, I will buy you coffee for a year (because you will probably need it). What does this analysis tell you? It tells you how good an athlete’s cardiovascular engine is because the uphill portions are going to reflect the cardiovascular effort. By combining NGP and a simple map, you can get to know your athletes’ local trail system and where the trails change in surface quality and technicality. If you coach yourself, you most likely already know this. If an athlete is generally running on the same surfaces, trail system, and incorporate a similar elevation gain/loss per mile, then ATL/CTL and TSB can be used to trend training like you would with any athlete (note, you can easily incorporate elevation change/mile into a athlete or a workout pack in WKO4+ to assist with this). This is because any of the aforementioned flaws will be represented proportionally and therefore the trend lines will hold true (although the absolute values for ATL/CTL will still need context). However, if an athlete changes surfaces (from road to trail) or the weekly elevation gain/loss per mile changes dramatically, you will have to take that into context. 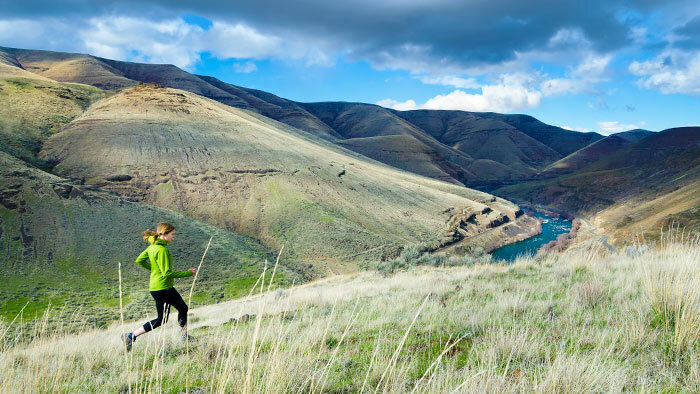 The big takeaway for trail runners is that you have to leverage technology where it can help you but resist the urge to rely on technology in areas where it doesn’t add as much value. For prescribing and tracking training in real time, simple is better and it’s just as effective. For evaluating training and making decisions about what to do next, the data gathered during training can be a gold mine, as long as you evaluate trail running data specifically in the context of trail running. Jason Koop is the Director of Coaching for CTS and a coach to elite ultrarunners. His new book Training Essentials for Ultrarunning reveals his highly effective ultramarathon training methods. The book is now available in bookstores, run shops, and online.